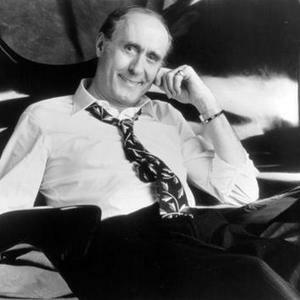 Henry Mancini (April 16, 1924 ? June 14, 1994) was an Academy Award-winning American composer, conductor and arranger. He is remembered particularly for being a composer of film and television scores - his best-known works are the jazz-idiom theme to The Pink Panther film series and Moon River. Mancini won a record number of Grammy awards, including a Grammy Lifetime Achievement Award in 1995. Mancini was born Enrico Nicola Mancini in the Little Italy neighborhood of Cleveland, Ohio, and grew up near Pittsburgh, Pennsylvania in the steel town of West Aliquippa, Pennsylvania. Mancini was born Enrico Nicola Mancini in the Little Italy neighborhood of Cleveland, Ohio, and grew up near Pittsburgh, Pennsylvania in the steel town of West Aliquippa, Pennsylvania. His parents emigrated from the Abruzzo region of Italy. Mancini's father, Quinto, was a steelworker, who made his only child begin flute lessons at the age of eight. When Mancini was 12 years old, he began piano lessons. Quinto and Henry played flute together in the Aliquippa Italian immigrant band, "Sons of Italy". After high school, Mancini attended the renowned Juilliard School of Music in New York. In 1943, after roughly one year at Juilliard, his studies were interrupted when he was drafted into the army. In 1945, he participated in the liberation of a South German concentration camp. Mancini's range also extended to orchestral and ethnic scores (Lifeforce, The Great Mouse Detective, Sunflower, "Tom and Jerry: The Movie", Molly Maguires, The Hawaiians), and darker themes ("Experiment In Terror," "The White Dawn," "Wait Until Dark," "The Night Visitor"). Mancini had experience with acting and voice roles. In 1994 he made a one-off cameo appearance in the first season of the sitcom series Frasier, as a call-in patient to Dr. Frasier Crane's radio show. Mancini voiced the character Al, who speaks with a melancholy drawl and hates the sound of his own voice, in the episode "Guess Who's Coming to Breakfast?" Mancini also had an uncredited performance as a pianist in the 1967 movie Gunn, the movie version of the series Peter Gunn, the score of which was originally composed by Mancini himself. Mancini was nominated for an unprecedented 72 Grammys, winning 20 Additionally he was nominated for 18 Academy Awards, winning four. He also won a Golden Globe Award and was nominated for two Emmys. Mancini won a total of four Oscars for his music in the course of his career. Mancini died at the age of 70 in Beverly Hills/Los Angeles, California of pancreatic cancer. He was working at the time on the Broadway stage version of Victor/Victoria. At the time of his death, Mancini was married to singer Virginia "Ginny" O?Connor, with whom he had three children. Ginny Mancini went on to found the Society of Singers a non profit organization which benefits the health and welfare of professional singers worldwide. Additionally the Society awards scholarships to students pursuing an education in the vocal arts and holds the annual Ella Awards. The American Society of Composers, Authors and Publishers(ASCAP) Foundation "Henry Mancini Music Scholarship" has been awarded annually since 2001.